Whether you are in the market for tire repair or replacement, our Certified Service experts can handle all of your tire needs. Use our Tire Finder Tool to start shopping for tires - simply enter your vehicle's year, make, model, and tire size. Not sure about your tire size? It's the combination of letters and numbers located on the side of your tire. Once you've selected the right set, schedule an appointment at Team One Chevrolet of Gadsden. Their coupons are our coupons. We honor ANY local competitors' coupons. 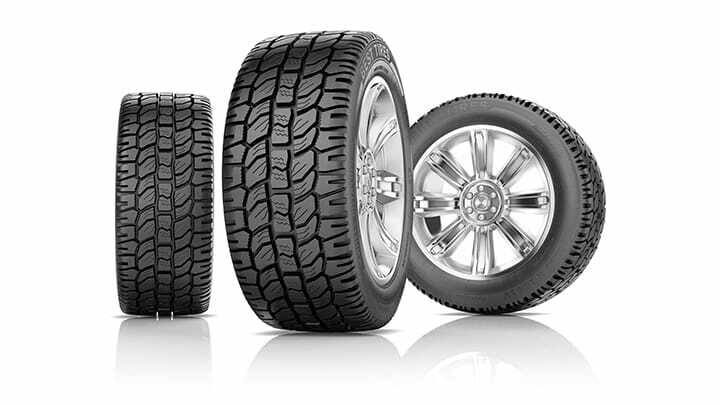 Includes brand-name tires such as: BFGoodrich-Bridgestone-Continental-Firestone-Goodyear-Michelin-Uniroyal. See Service Advisor for complete details & restrictions. Excludes other GM dealers. Please contact us for more information. Find a better price within 30 days of the purchase, and we'll refund the difference. * Eligible Tire Brands: BFGoodrich, Bridgestone, Continental, Dunlop, Firestone, General, Goodyear, Hankook, Kelly, Michelin, Pirelli, and Uniroyal. Ad, written estimate, or Internet quote for identical tire(s) from a competing tire retailer/installer located within 100 miles of the dealer required during guarantee period for price match. Proper wheel alignment is key to prolonging the life of your tires. 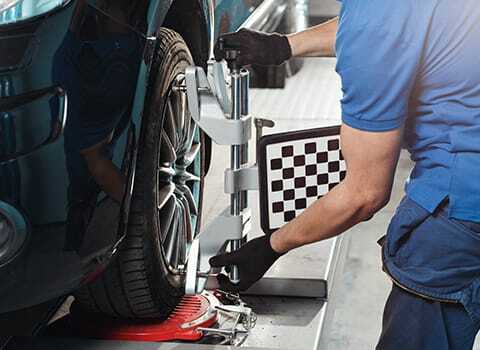 If your vehicle is misaligned, it can cause your tires to wear unevenly, and you may experience handling problems such as pulling or abnormal vibration. Consider a wheel alignment check if there is unusual tire wear or the vehicle is significantly pulling to one side or the other. A tire that is out of balance often affects ride quality and can shorten the life of tires, bearings, shocks, and other suspension components. If the vehicle is vibrating when driving on a smooth road, the tires and wheels may need to be rebalanced. Check your tires at least once a month when the tires are cold, meaning the vehicle has not been driven for at least three hours or no more than 1 mile. The Tire Information Label located on the inside of your doorframe has the recommended cold tire pressure for your vehicle. 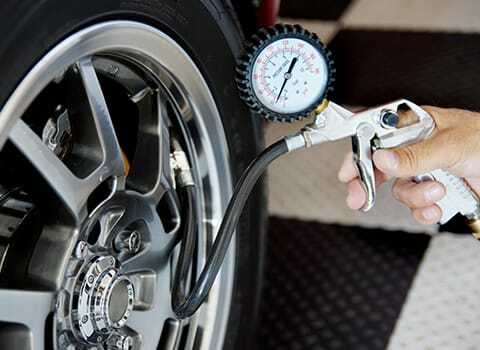 Inflation pressure maintenance of tires is critical for overall tire and vehicle performance. 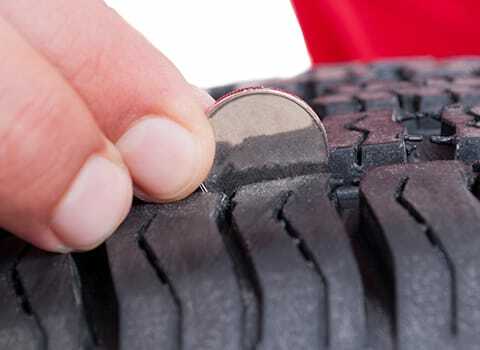 Maintaining the correct inflation pressure allows the tire to perform as intended, including for comfort, fuel economy, stopping distance, cornering, traction, tread wear, and noise. It’s a known fact that regular tire rotation extends the life of your tires and improves performance. 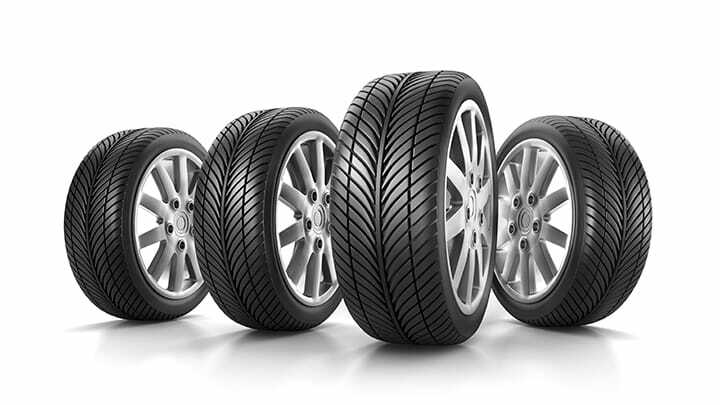 Tires are rotated to achieve a uniform wear for all tires. Each tire performs different tasks (such as steering in front- versus rear-wheel drive), therefore tires wear at different rates. Tires should be rotated every 7,500 miles to prevent irregular tire wear. It’s important to rotate your tires according to the correct tire-rotation pattern. Doing so will prolong the life of your tires and will reduce the risk of sudden tire failure. Front tires encounter different tasks than the rear tires. 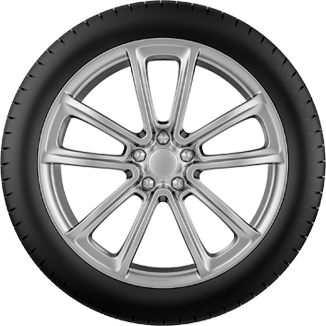 A front-wheel-drive car's tires perform different tasks than those on a rear-wheel-drive vehicle.